"Allen appears to be belatedly reaching his peak and producing in the big events. He was a worthy winner of the Masters...and was superb when winning a big prize at the International Championship last month." 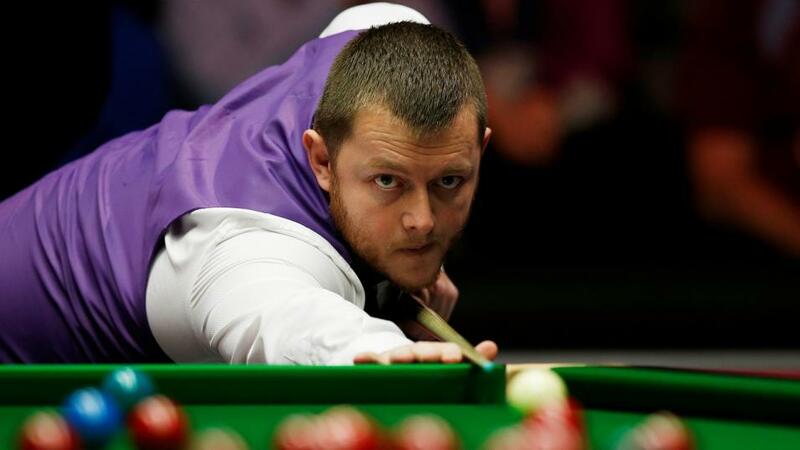 The majors are upon us and that normally means snooker's cream very much rises to the top. Ronnie O'Sullivan won his sixth UK Championship title last year and he's shared the last six renewals with Mark Selby and Neil Robertson. We have to go back to Peter Ebdon in 2006 (at around 33/1 if memory serves), to find the last vaguely unpredictable champion. Given that history, we could be forgiven for assuming this will be another procession from Ronnie and bettors are confident with just [4.1] available at the last-128 stage, which begins tomorrow. Without questioning his chance or form, these odds are too short for my liking. O'Sullivan is not invincible. Trump beat him in the NI Open final and he needed every ounce of luck to beat Selby in the semis and Kyren Wilson previously in the Champion of Champions final. Sunny Akani gave him a massive scare here last year. Over seven matches, plenty could go wrong and there are potential dangers from Yuan Sijun in the second round onwards. Moreover, three of the four players trading below [20.0] are in this half of the draw. A preferable strategy is to take enhanced win only odds on the exchange in the top half and bet each-way in the bottom half, thus making a profit possible even if the hot favourite does go on to win. Ding wouldn't have to meet O'Sullivan until the quarter-finals and is fancied to get at least that far. Whilst it hasn't been a vintage season yet by any means, Junhui frequently brings his A-game to majors and is a twice former champion. Similarly, last year's runner-up Shaun Murphy has been disappointing but catches the eye at [42.0]. Another potential threat to Ronnie could be Lisowski in the last-16. Few players have been as consistently impressive in 2018, despite his failure to convert in the latter stages of events. Lack of matchplay nous remains an evident weakness but Jack must break through sooner rather than later. The two big-guns in this section are both readily opposed. Trump obviously has claims after his brilliant performance in Northern Ireland - his first title in over a year - but that win ratio doesn't warrant single figure odds in a major. John Higgins has been way below his best although an easy early run at least offers a chance to build some form. At more than four times their odds, Ryan Day looks well over-priced. The Welshman has a decent record against both, comparable form over the past 18 months, and reached the semis last year. More speculatively, Luca Brecel has shown a few hints of returning to form before losing twice to Trump. Rather like Lisowski, the Belgian has all the ability in the world but a lot to learn. This time last year he was storming up the rankings and a threat to all. He's got a nice early draw and is the type to suddenly re-emerge. Selby heads a tricky section involving four strong contenders and numerous dangerous outsiders. I can see him being tested in every round and with the fast-rising Wilson potentially awaiting in the quarters, the Jester is easy to oppose at single-figure odds. Kyren evidently loves the big stages and was cruelly unlucky in Coventry. This is the shortest he's ever been for a major but there's still some mileage in these odds. His temperament is very Selby-like and a major asset for the triple-crown events. Stuart Bingham came in for serious consideration at 40/1 but at huge odds, preference is for World Open runner-up Gilbert. Only Ronnie had his measure last time when reaching the quarter-finals in Belfast and he's now seriously chasing a top-16 spot. This looks the most open section and likeliest to produce an outsider. Mark Williams is in nothing like the form of last season and looks vulnerable against various early opponents. In contrast Allen has been absolutely flying and is expected to ease to the last-16 at least. Allen appears to be belatedly reaching his peak and producing in the big events. He was a worthy winner of the Masters, played well in the World Championship and was superb when winning a big prize at the International Championship last month. Neil Robertson and Ali Carter are shortlisted but Stephen Maguire hasn't shown the form to suggest a repeat of last year's run to the semis. Instead let's try the under-rated Saengkham. Twice a semi-finalist in 2018, the 26 year-old Thai was far from overwhelmed on either occasion against Williams and Barry Hawkins.